What drives the champions of mountain conservation to protect the landscape around them for future generations? Some do it to rectify lost lands—farms that were carved into developments, fields that became factories. Others strive to safeguard the remaining wild spaces for environmental and recreational purposes, while another seeks to maintain the Cherokee nation’s stewardship of the earth. In this special package, we profile key players in the never-ending effort to conserve the natural places we all hold dear. Behind every good land trust is a good attorney. For many in North Carolina, that person is Mike Leonard. The Winston-Salem resident’s involvement with The Conservation Fund facilitated the creation of Grandfather Mountain State Park, a $12 million purchase of some 2,500 acres in 2008. The year before, he secured $24 million in state funds and private donations for the establishment of the 996-acre Chimney Rock State Park. 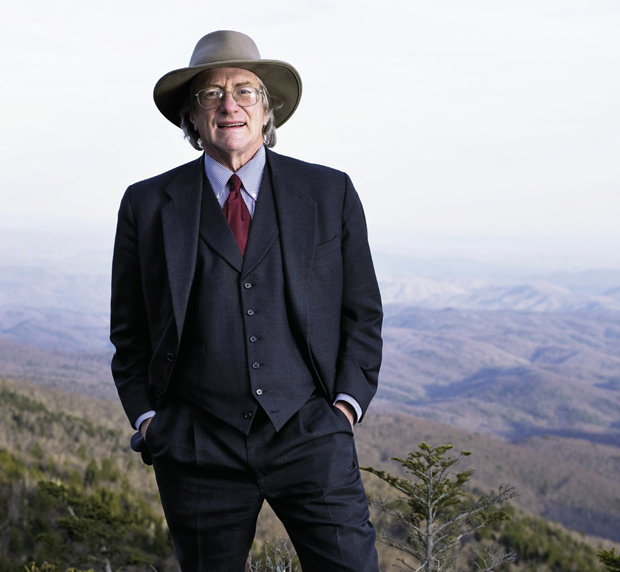 One of the South’s leading conservation attorneys, Leonard has negotiated agreements that have protected more than a quarter million acres in Panthertown Valley, along the Horsepasture National Wild & Scenic River, and elsewhere in Western North Carolina. 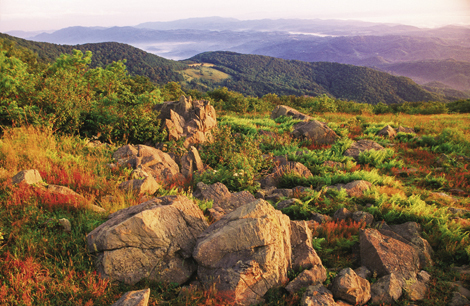 Leonard, a ninth-generation North Carolinian, helped the Southern Appalachian Highlands Conservancy buy the 600-acre Grassy Ridge tract in the Roan Highlands. “I can remember back to the mid 1970s, hiking up to Grassy Ridge and looking down on this magnificent piece of property and knowing that it needed to be protected,” he says. In 1989, competing efforts were underway to restore the French Broad and Swannanoa rivers in Asheville. 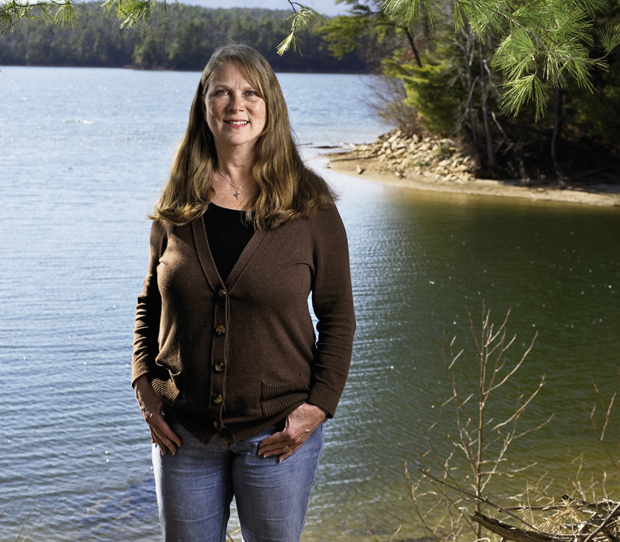 Karen Cragnolin brought the disparate economic and environmental interests together by founding RiverLink, a vibrant nonprofit dedicated to safeguarding the waterways and lands that surround them. With its popular French Broad River Park, the organization established the city’s first greenway and has since pieced together property to extend the river walk. Additions include an old junkyard from which RiverLink pulled up 100 tons of concrete, using nonhazardous bacteria to decontaminate the soil. RiverLink also bought the old Asheville Motor Speedway and donated the 50 acres to the city for the creation of Carrier Park, now a hub for outdoor recreation. Cragnolin grew up in Boston, spending summers with her father on his boat in the badly polluted Charles River. “You didn’t want to fall in,” she remembers, noting that efforts similar to RiverLink’s have cleaned up much of that body of water. 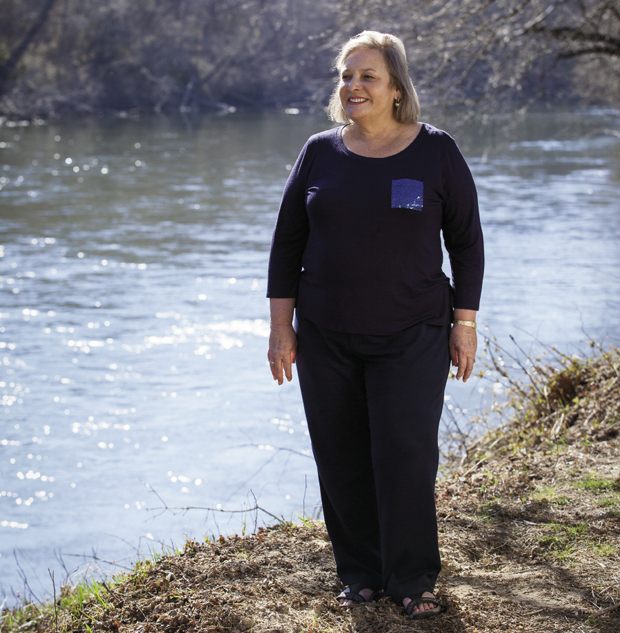 She’s thrilled about the improved water quality in the French Broad and Swannanoa rivers. Under her guidance, volunteers have restored creek banks, managed stormwater runoff, and created wetlands and rain gardens. Challenges still exist, but RiverLink has spurred great improvements. When most of us think of land conservation, we envision sprawling forests, idyllic streams, and swaths of rolling farmland. It’s a horizontal conceptualization, measured in acres. But sometimes, land conservation is vertical, and measured in feet. As in 1,200 vertical feet—the incredibly tall and steep rise of Laurel Knob, a granite dome in Panthertown Valley, near Cashiers, that the Carolina Climbers Coalition purchased and preserved in 2005. Laurel Knob is the tallest cliff east of the Mississippi, rising 10 to 12 climbing pitches from the forest floor to the summit. (By comparison, Looking Glass Rock is only four pitches.) It had been a premier destination for adventurous climbers for decades when its landowner listed the property for sale in 2005. Up to that point, the CCC had simply been a climbing advocacy group, without any land management aspirations. The CCC raised $250,000 through private loans and now owns the site outright. 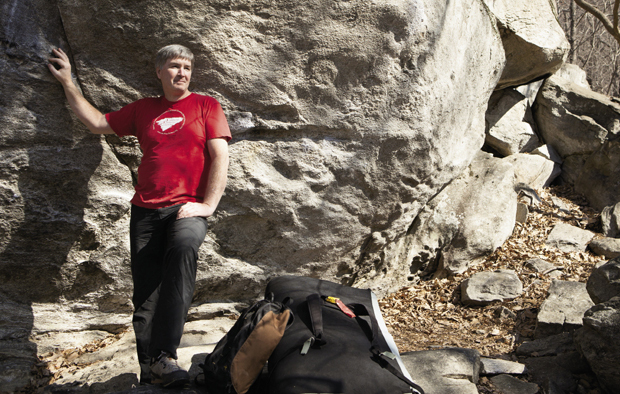 Since that first purchase, the organization has bought and preserved six acres of primo bouldering in the Hickory Nut Gorge and negotiated climbing access in the Jocassee Gorge, on the border of South Carolina, and the Sauratown Mountains in the Piedmont. The group is currently looking to purchase a piece of property in Virginia that would reopen a significant climbing area. Michell Hicks first formed an appreciation for nature as a boy while hunting and fishing. That experience, he says, cultivated “a high respect for how we treat the land and what we take.” Now, as principal chief of the Eastern Band of Cherokee Indians, he has the weighty responsibility of protecting his ancestral homeland for future generations. “Part of the tradition of the Cherokee people is to make sure we give the land to our children in a better fashion than we received it,” he says. Among Hicks’ achievements as the tribal leader was preserving the Cowee Mound, a sacred site along the Little Tennessee River in Macon County that was once the diplomatic and economic capital of the Cherokee nation. “It is one of the projects I am most proud of,” he says, explaining that, last June, the EBCI was also instrumental in protecting 108 acres on Hall Mountain overlooking the prehistoric knoll which were slated for development. While the acquisitions have significant ecological value, the Cherokee’s view of land protection is much broader than just safeguarding parcels for environmental reasons. Hicks describes their conservation approach as a holistic form of land stewardship that’s shaped by the tribe’s identity and deep attachment to their native territory. Although conservation has always been a high priority of the Cherokee nation, only in recent years has the tribe generated the resources to significantly expand efforts to protect sacred landscapes and ecologically essential wild land. When Paul Carlson moved to Macon County in the 1980s, most conservation efforts were directed at public lands. But he saw an equally important need to focus on private land conservation and management, especially as second homes began cropping up. 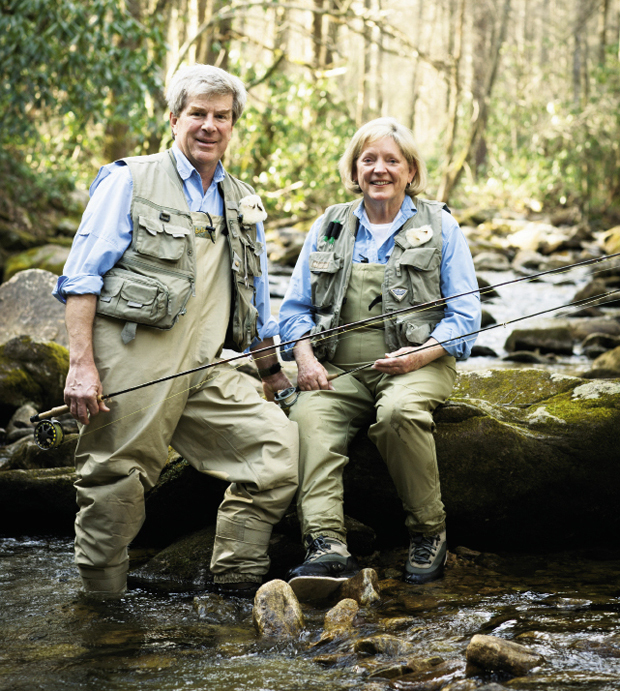 A forester and economist by training, Carlson helped found the Land Trust for the Little Tennessee, which, since 1997, has helped conserve more than 23,000 acres and hundreds of river and stream miles in the Balsam, Cowee, and Nantahala mountains. As executive director, he helped the state acquire the 4,833-acre Needmore Tract, which includes 26 miles of Little Tennessee River frontage. 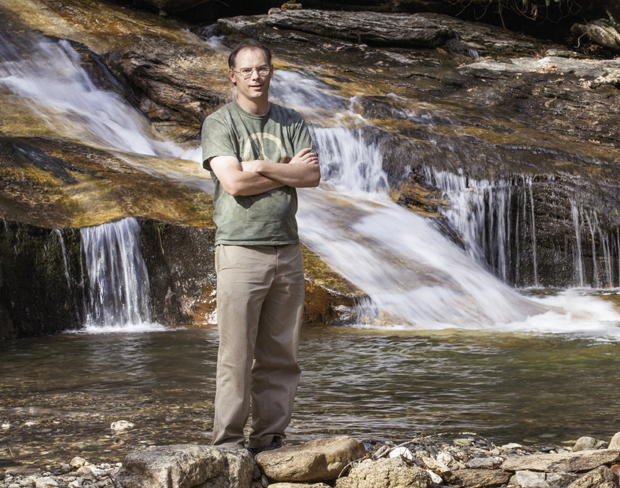 Under his leadership, LTLT has protected two-thirds of the river from Franklin to Fontana Lake. Carlson gauges the trust’s success by the changing attitudes of residents toward the value of clean water. People are proud of the river tributaries running through their property, and are increasingly working to keep the water clean, he says. These days, he and the land trust are working to support future conservation leaders by involving youth in fish and bird habitat monitoring. Every summer for 18 years, kids have searched tirelessly for the Lost Cave of Green River Valley near Hendersonville. Legend has it that a group of Civil War bandits stashed their loot inside the cave in the 1860s. Nobody’s found it yet, but Sandy and Missy Schenck hope kids will be looking for that cave for decades to come. The couple owns Green River Preserve, a summer camp for “bright and curious” youth that’s operated on Sandy’s 3,400-acre family farm—the presumed location of the legendary cave. The Schenck’s have placed 2,600 acres of the farm in a conservation easement, ensuring that the summer camp will continue its mission, and wildlife in the Green River Valley will have a key corridor. The land itself encompasses the headwaters of the Green River and archeological sites that date back 10,000 years, but the Schencks feel the most important impact of their land conservation will be felt by the children attending camp. Since 1995, Susie Hamrick Jones has guided Foothills Conservancy of North Carolina’s work to permanently protect more than 47,000 acres across the eastern Blue Ridge Mountains and foothills. Jones and the conservancy started by raising almost $14 million to purchase and protect from clear-cutting nearly 18,000 acres in the South Mountains, much of it in Rutherford County, where she was raised. Out of that initial effort came the South Mountains Game Land, which now protects 19,775 acres of public land in Burke, Cleveland, McDowell, and Rutherford counties. Under Jones’ leadership, the Foothills Conservancy has also greatly expanded Lake James State Park and added state game lands bordering the Linville Gorge Wilderness. The organization also played a major role in getting funding, land, and legislative support for Chimney Rock State Park. Jones grew up at a time when the state was mostly rural. As a girl, she wandered through the woods and played in the creeks feeding the Green and Broad rivers. In her teens during the ’60s, she watched as her grandmother’s 100-acre farm was auctioned off into lots for a subdivision. It saddens her to this day. 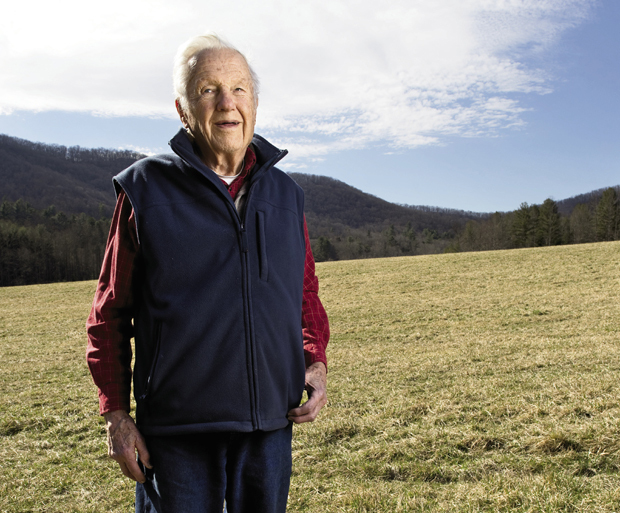 Aside from helping conserve more than 27,000 acres of land in Western North Carolina, nothing satisfies 97-year-old John Humphrey more than the success of the Carolina Mountain Land Conservancy, for which he’s served for nearly two decades as a trustee and twice as board president. 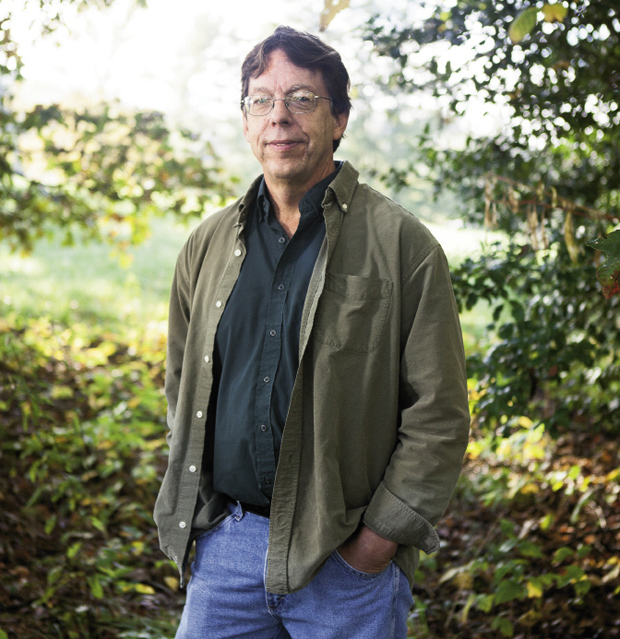 Humphrey decided to become involved with the land conservation movement because of the rapid approach of growth near his home in Henderson County. “We saw development coming closer and closer,” he remembers, and he was worried about losing the rural landscape, forests, and clean water. In fact, the land trust’s first conservation easement, in 1996, was on his own property: 180 acres of farm and forest on Foster Creek, a tributary of the Mills River. Now, the spry conservationist, who’s often clad in hiking boots and jeans, still serves as a trustee and is typically in the conservancy’s Hendersonville office twice a week. At just 43, Tim Sweeney is one of the largest private landowners in the state of North Carolina, with a portfolio that includes 36,650 acres, most of it in the mountains. After the economic crash of 2008, land prices dropped as developers went bankrupt. Sweeney instituted a “conservation land grab,” buying foreclosed and undervalued wilderness and putting conservation practices like fire restoration and invasive plant eradication into place. Sweeney’s land protection efforts are strategic and targeted, with a focus on creating biological corridors and well-managed nature preserves. He owns land from Roan Mountain to Raleigh, but the feather in his cap is Box Creek Wilderness, a 5,185-acre tract in Rutherford and McDowell counties. Box Creek is an ecological anomaly in the foothills, packed with rare and imperiled plant species, and is the state’s largest private Registered Natural Heritage Area. Sweeney is the founder and CEO of the Cary-based Epic Games, a video and 3-D software company. He grew up in Maryland, on the outskirts of D.C., taking family vacations to his grandmother’s small farm in the mountains of Southwest Virginia. When his grandmother’s health declined, the family sold the timber rights to the property to cover medical costs. In the end, the whole farm had to be sold. From that point on, Sweeney made it his goal in life to buy and preserve land, with the intention of eventually handing it over to conservation organizations or the state. “The idea is to put my money to work for conservation,” he says. Hopefully, Box Creek Wilderness will someday be permanently protected, but Sweeney is currently fighting a condemnation lawsuit filed by an electric company that wants to appropriate a corridor through Box Creek to build a power line. Sweeney has offered up an alternate corridor at no cost, but the company is still pursuing the path through the property. “My fear is that the entire forest would eventually be choked by invasive species,” says Sweeney, who plans to fight the energy company’s efforts to the full extent of his abilities. For him, it’s a small price to pay for the rich rewards that come with conserving the land for future generations. Protecting the last great swaths of wild land isn’t easy or cheap. 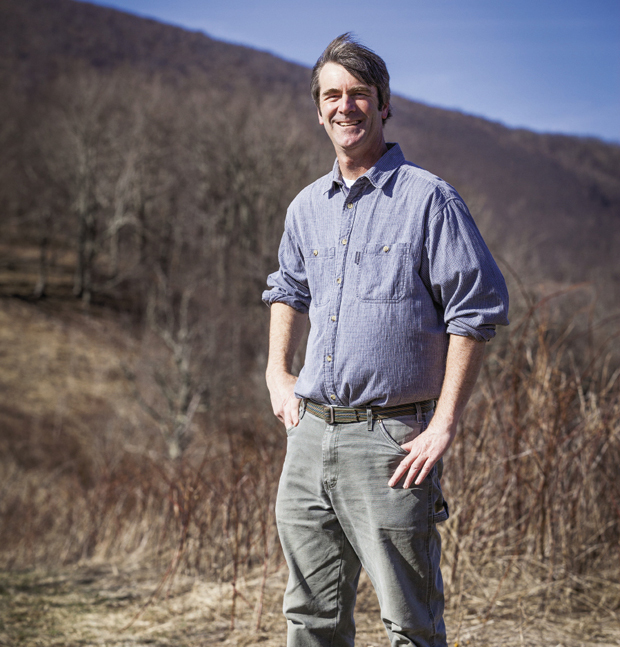 For Jay Leutze, a trained attorney, author, and trustee of the Southern Appalachian Highlands Conservancy, that mission involves scrambling to find funding, rallying policy-makers, and pow-wowing with landowners in order to patch holes in the fragmented, public-owned mountain parcels. Leutze’s most compelling tactic is also his secret weapon: a good old-fashioned story. His aim is to craft an inspiring narrative of why conserving and connecting ecologically sensitive mountaintops and watersheds is worth the expense. But with his gripping tales, Leutze has managed to guard some of the most beloved places in the state, including rare high-elevation mountain balds in the Roan Highlands. And he’s often done so with scarce resources, such as a cliffhanger of a project in 2012 in which he raised $3.9 million in 12 days to protect 600 acres on Grassy Ridge. Admittedly, Leutze’s motivation comes from nostalgia for a time he never really knew, when nightscapes weren’t dimmed by lights or faded by air pollution. While that longing may inspire his pitches, his tales aren’t deluded in fantasy. In his book Stand Up That Mountain: The Battle to Save One Small Community in the Wilderness Along the Appalachian Trail, Leutze chronicles a five-year struggle to halt an illegal mining operation. • A land protection director evaluates the conservation value of your land. • The trust helps you structure a transaction that achieves your goals. • The trust does its due diligence before financial papers are filed.